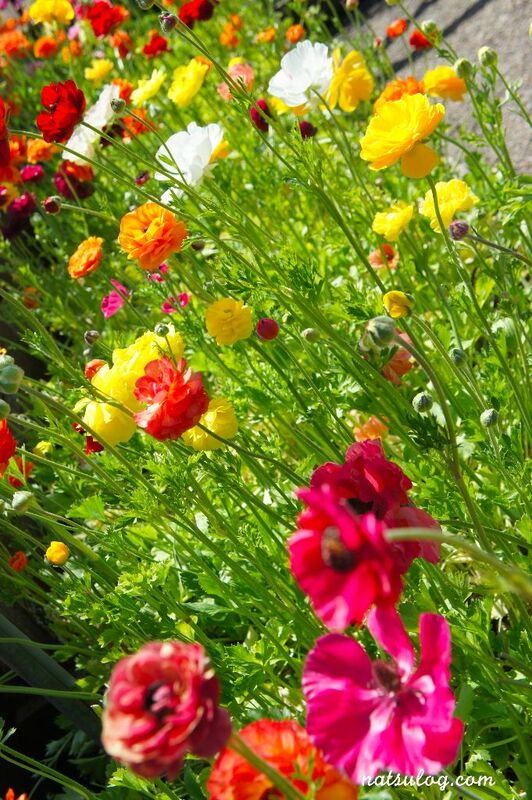 These flower colors are my favorite kinds 🙂 Just by seeing them, I feel like getting energy. 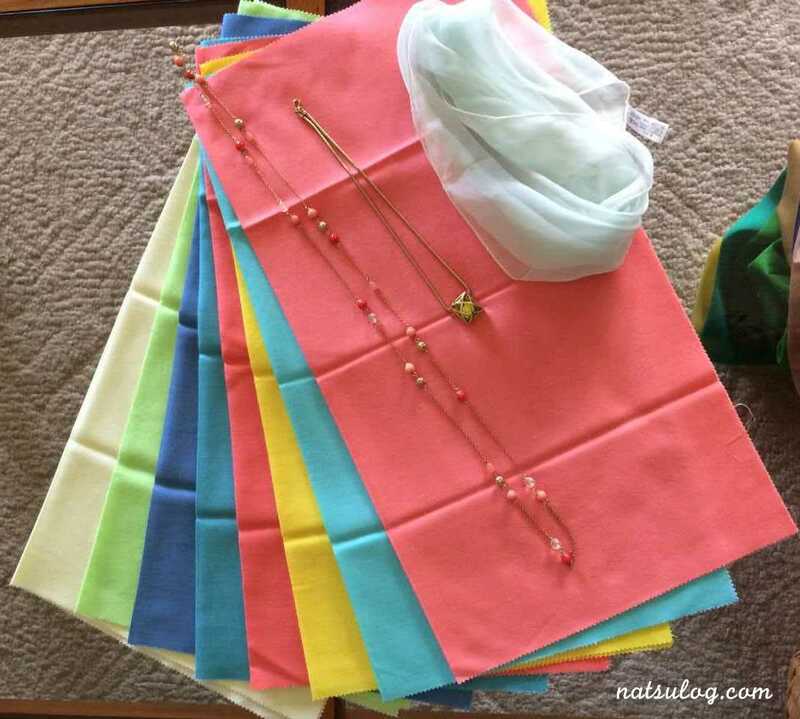 Bright colors cheer me up!! One of my suggestions to add a color easily in your style is to put a hair accessory with colors!! I quite like a bow for it. I think putting a color bow is much better than putting a plain hair band. 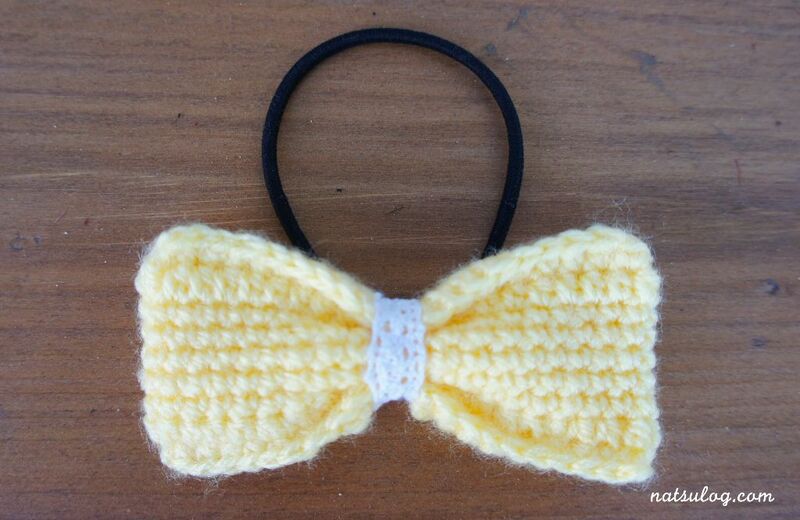 If you have a similar kind of color in your clothes with the hair bow, it will look more natural. 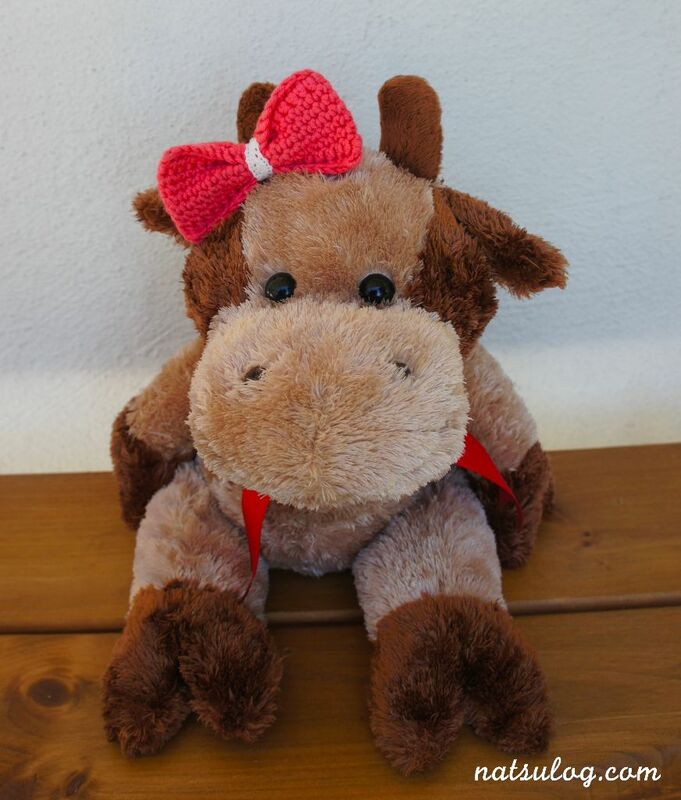 Let’s see which hair bow looks more natural on the little cow?? I also tried to mix more than one color!! 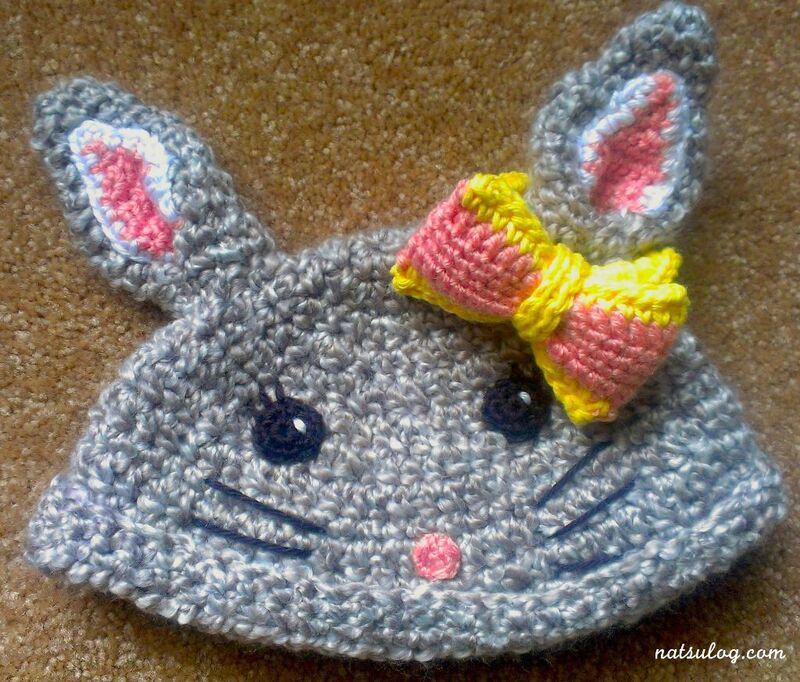 This is cute on my chinchilla cap!! My friend likes it, so she sometimes uses it to make a ponytail and I feel super happy whenever I see that!! I think I personally prefer putting a lace in the center! Sometimes I give those hair bows as one of the gifts to my friends. 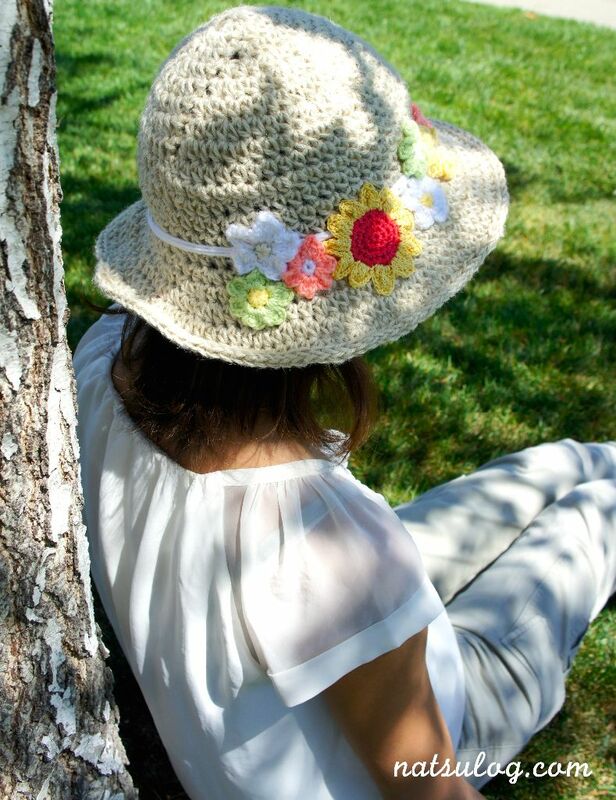 The other day, I made a summer hat with cotton yarns. It came out pretty, and I put a pink lace tape to decorate the hat. I wanted to give it to my friend’s daughter, so I wanted to decorate it how she would like it. My friend told me that her daughter loved yellow, so I decided to add some yellow color. We went out to a park to play and she took my camera and turned out to be a great photographer!! It’s interesting to see how kids see the world!! So, these amazing photos of the cutie are taken by her mom with her camera!! She has a great eye for making great photographs of her daughter 🙂 Moms are great!! Lately, I’ve been making some caps for babies and kids. 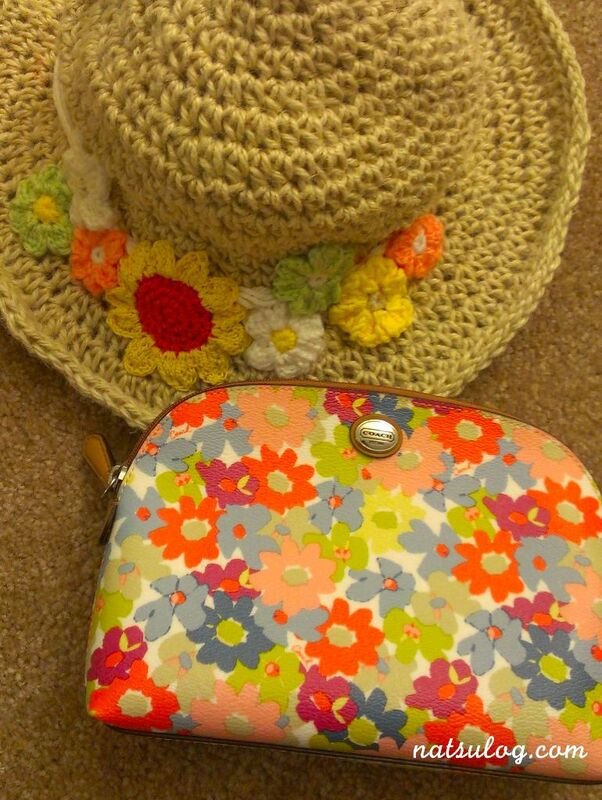 Then, I’ve realized that I hadn’t made even one for myself, so I decided to make my summer hat. Since I’m making one just for my own, I wanted to make something special to me. I love flower printed things, so the concept is lots of flowers with my favorite colors. 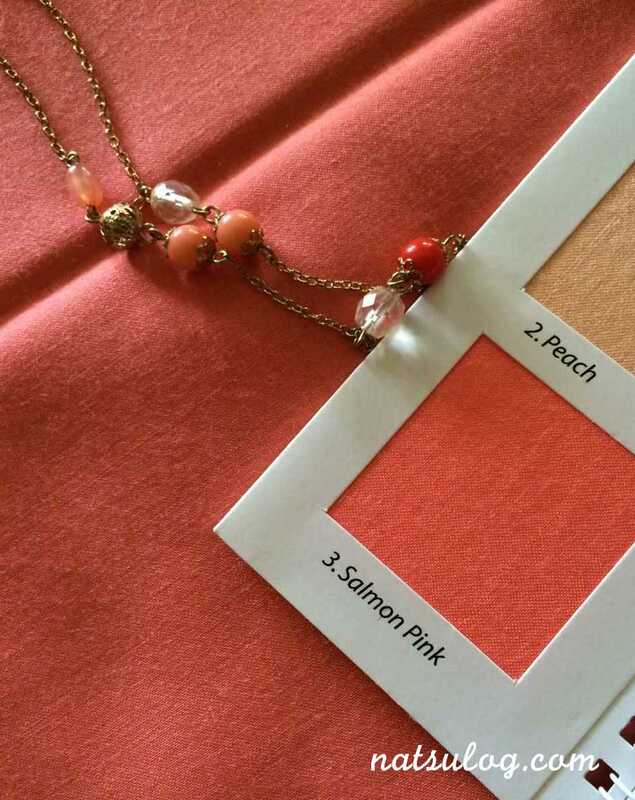 My favorite colors are pink, orange and some other warm colors. The outcome is this. I put a sunflower in the middle, which is a symbol of summer. 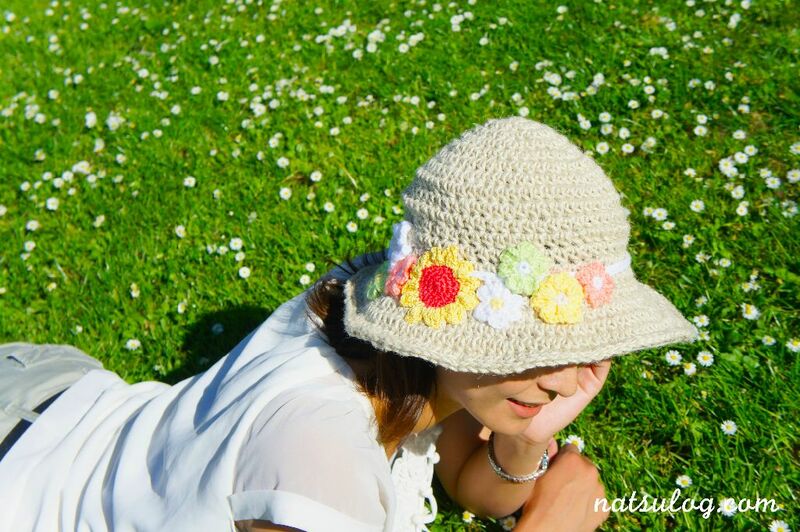 This hat brightens me up 😀 I’m really satisfied with my work now 🙂 By the way, “Natsu” in Japanese means “summer”, and as some of you might have guessed it, I was born in summer and I love summer.